If you use Liquefied petroleum gas (LPG) in your home or business you should ensure that your appliances are set up to use LPG. Normal cookers that are intended for use with natural gas will require some adjustment to make them safe to use with LPG. This procedure is quite easy but to be safe we would recommend getting a qualified professional to do the conversion for you. 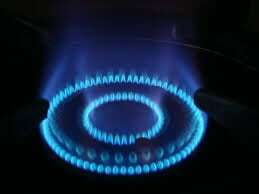 Burners have different jets for use with LPG as LPG is supplied at ab higher pressure than household gas. Most cookers, ovens and ranges will be able to be changed over quickly and easily or you can buy cookers or other appliances that are set up ready for LPG. We have been asked what the difference is between Calor gas and LPG and the truth is there isn’t one and Calor is only a brand. Our LPG supply is exactly the same and will do exactly the same job as the bottled gas supplied by Calor. It is safe to say that having a tank fitted will work out cheaper and more conveniently than using bottled gas. You don’t even have to pay for the tank as we supply that for you and fill it up whenever it is needed. This gives us a reasonable period to schedule your delivery in to our normal delivery schedule. This will depend on the size of tank installed at your property. However, we ask you to let us know when your gauge reads about 20% and fill your tank(s) to approximately 85% (the maximum recommended). By way of example: a 1,410 litre tank will hold about 1,200 litres when at 85% capacity. If we fill at about 20% you will have approximately 920 litres delivered. Gauge readings are not precise but give an indication of a tank’s content. All LPG delivered by Premier LPG is measured at the time of delivery through a calibrated meter and recorded on a delivery note. Invoices can be settled by cash, cheque, online transfer, debit or credit card over the phone. We also offer a monthly payment facility based on your estimated yearly use and current price. Please see below for further information on our monthly payment facility. How does the monthly payment facility work? We offer the monthly standing order facility because some customers prefer to set aside money each month rather than have to settle the full invoice after each delivery. Your current monthly standing order is based on your estimated yearly lpg use and current price. We review standing order accounts on a regular basis to ensure that accounts don’t fall into arrears. If an account does fall into arrears, or is likely to fall into arrears, we may ask you to take action on the account before further deliveries can be made. For example, we may ask you to make a one off payment to reduce or clear the balance or increase the monthly amount to clear the balance within a satisfactory period and ensure there are sufficient funds for your next delivery. A common problem is that accounts instantly fall into arrears in cases where customers have a delivery before the sufficient funds have accrued to pay for the first delivery. To guard against this we ask that the balance is cleared in respect of all first deliveries. How do I set up my monthly payment facility? Please call 01772 707011 so that we can provide our Standing Order Mandate and advise of an appropriate monthly payment to cover your estimated annual gas use. I am moving out of a property with a Premier LPG tank. What do I need to do? Please provide 1 months written notice of your intention to leave the property as well as 1 months written notice of your departure date. You will then need to clear any outstanding balance on your account. We will also require contact details for the incoming purchaser or tenant (if you do not have these please provide contact details for your landlord or agent, etc.). I have moved in to a property with a Premier LPG tank. What do I need to do? Please call us on 01772 707011 to set up your account. I own my tank. Are Premier LPG willing to supply me? Subject to a satisfactory site inspection and current tank and maintenance certificates we are happy to supply customer owned tanks. Please call our team to open an account.